We import premium hot dogs and sausages from Germany every week. 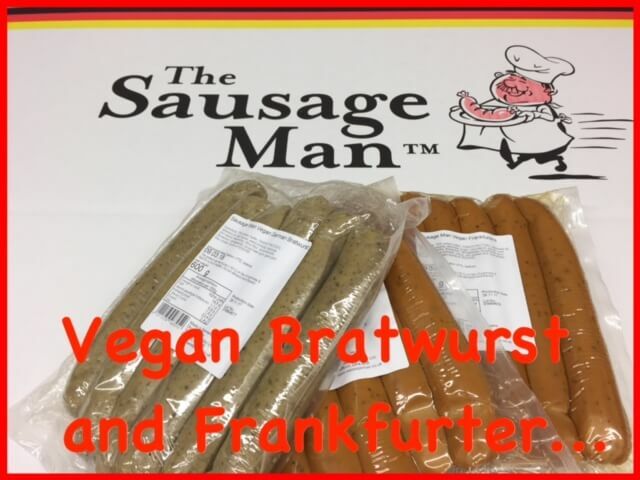 We also supply vegan options, see below pics of our vegan bratwurst. If you're interested in ordering with us please get in contact today so we can discuss delivery, stock and pricing. Visit our testimonials page to find out what our customers say about us. We've been supplying UK catering businesses with a delicious vegan bockwurst and now we also supply a fabulous vegan bratwurst! If you'd like to order this truly delicious vegan bratwurst please get in touch with us today. Remember we also supply sample boxes if you're a food related catering business.